Resident Evil 7 CD Key - The Greatest Horror Comeback! Resident Evil 7 is unlike any other RE title in existence. Released back in January, the game has taken the gaming world my storm and proves that Capcom still got it. 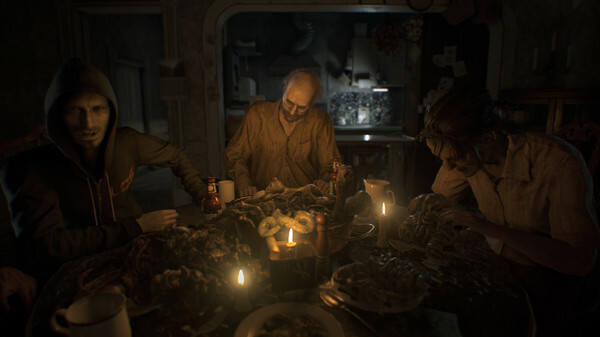 After 2 lackluster titles in the form of Resident Evil 5 and 6, RE7 is a return to form for Capcom, hearkening back to the claustrophobic and helpless horror that protagonists Jill and Chris experienced in the Arklay Mansion. RE7 is focused much more on the ambience, atmosphere, and puzzles that are reminiscent of RE’s earlier incarnations, rather than the action-movie-esque polish of the 2 previous installments. Set in rural America years after the events of RE6, the game puts you in the shoes of everyman Ethan, a man looking into the mystery of his thought-to-be-dead wife. There, he encounters the horrible Baker family and the sinister presence that roams the Baker residence and is in for the night of his life. With the new shift to the first person perspective and feel comparable to its other contemporaries like Outlast, RE7 brings the horror to a whole new level as you experience everything Ethan experiences. As it was said earlier, Ethan is nothing but a normal person. He’s no Chris “The Human Bicep” Redfield nor is he Jill “I really dress in combat like this” Valentine. He’s not the cool and charismatic Leon Kennedy either. Not even a Brad Vickers. Ethan’s got no combat training whatsoever! This fact alone makes RE7 the scariest RE ever since the first game and the most innovative since the fourth game. This review is a bit late for the party, but there’s definitely other folks who haven’t tried the game for themselves yet and are looking for fantastic scares. If that’s the case, getting an RE7 CD Key makes the most sense now! Go grab a CD Key for it and start the horrific fun!